To Dr David Spiteri, consultant in anaesthesia and intensive care, whose insight into the first drafts of this article proved invaluable for its fruitful completion. The quest to abolish pain of surgery proved beyond reach for centuries.1 Surgery sorely tested the patients’ endurance, the hospital assistants brute strength to hold them down and, above all, the surgeon’s dexterity and speed. The faster the surgeon, the better. Mikiel’Ang Grima, resident surgeon at the Sacra Infermeria in Valletta from 1763 to 1797, was renown for carrying out some major operations in under three minutes.2 Anaesthesia then developed through the coincidental and disparate efforts of contentious pioneers who often became victims of their own discoveries. The Bulfinch Building at the Massachusetts General Hospital where William Morton used ether as a surgical anaesthetic for the first time on October 16, 1846. The surgical amphitheatre at the Bulfinch Building today, now known as the Ether Dome. Prosperi’s painting of that fateful day is hanging at its epicentre. The Naval Hospital at Bighi, now the seat of the Malta Council for Science and Technology, where anaesthesia was administered in Malta for the first time. Note that the tower-like structure on the right is an elevator used to lift injured servicemen from the vessels directly to the hospital. Monument to Sir James Simpson built in 1877 and located at the West Princess Street Gardens in Edinburgh. It may be simplistic of us to only commemorate October 16, the day of Morton’s ether demonstration, as the “World Anaesthesia Day”. The beginnings of anaesthesia are mired in controversy and confusion, and remain the subject of intense research even nowadays. Moreover, the many dramatis personae, with their feuds and addictions, turn the story to a veritable tragic comedy. It is to these people, however, that we owe anaesthesia as we know it, that singular branch of science that revolutionized the way we practice medicine and surgery today. Chidiac EJ, Kaddoum RN, Fuleihan SF. Mandragora: anaesthetic of the ancients. Anesthesia & Analgesia. 2012; 115(6): 1437 – 1441. Savona Ventura C, Buttigieg GG. Michel’Angiolo Grima. The man and his times (1729 – 1798). Association of Surgeons of Malta, 2008. Vella AP. Storja ta’ Malta Vol II. Malta: Klabb Kotba Maltin; 1979. 322 p.
Guerlac H. Hales, Stephen [Online]. Available at: http://www.encyclopedia.com/ science/encyclopedias-almanacs-transcripts-and-maps/stephen-hales. Accessed on October 1, 2016. Smith WDA. 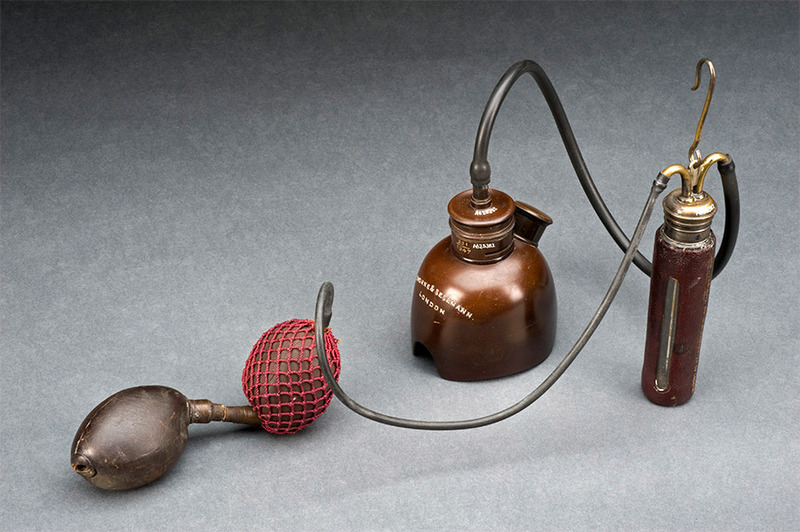 A history of nitrous oxide and oxygen anaesthesia part I: Joseph Priestley to Humphrey Davy. Brit J Anaesth. 1965; 37: 790 – 798. Encylopedia Brittanica. Joseph Priestley – English clergyman and scientist [Online]. Available at: https://www.britannica.com/biography/Joseph-Priestley. Accessed on September 11, 2016. Smith WDA. A history of nitrous oxide and oxygen anaesthesia part II: Davy’s researches in relation to inhalation anaesthesia. Brit J Anaesth. 1965; 37: 871 – 882. Jacobsohn PH. Horace Wells: discoverer of anaesthesia. Anesth Prog. 1995; 42: 73 – 75. Haridas RP. Horace Well’s demonstration of nitrous oxide in Boston. Anaesthesiology. 2013; 119(5): 1014 – 1022. BLTC Research. Utopian surgery: Early arguments against anaesthesia in surgery, dentistry and childbirth [Online]. Available at: http://www.general-anaesthesia.com. Accessed: September 10, 2016. Whalen FX, Bacon DR, Smith HM. Inhaled anaesthetics: an historical overview. Best Practice & Research Clinical Anaesthesiology. 2005; 19(3): 323 – 330. BLTC Research. An account of the extraordinary medicinal fluid called aether [Online]. Available at: http://www.general-anaesthesia.com/misc/ether-turner.html. Accessed on September 10, 2016. Lloyd P. Robert C. Hinckley and the recreation of “The First Operation Under Ether”. N Engl J Med. 1994; 331: 281. Vose ML. The Prosperi Studio – About Us [Online]. Available at: http://www. prosperistudio.com/about-us/. Accessed on October 2, 2016. Ellis RH. The introduction of ether anaesthesia to Great Britain. Anaesthesia. 1976; 31: 766 – 777. Ellis RH. James Robinson – England’s true pioneer of anaesthesia. Proceedings from the Third International Symposium on the History of Anaesthesia. March 1992: 153 – 64. BLTC Research. Robert Liston (1794 – 1847) [Online]. Available at: http://www.general-anaesthesia.com/people/robert-liston.html. Accessed on: September 10, 2016. Azzopardi N. The history of the development of general anaesthesia in Malta. Malta Medical Journal. 2009; 21(3): 42 – 48. Savona-Ventura C. the naval career of Sir Thomas Spencer Wells in the Mediterranean: 1842 – 1853. Malta Medical Journal. 1998; 10(2): 41 – 46. Defalque RJ, Wright AJ. The short, tragic life of Robert M. Glover. Anesthesia. 2004; 54: 394 – 400. Defalque RJ, Wright AJ. The discovery of chloroform: Has David Waldie’s role been exaggerated? Anaesthesiology. 2011; 114: 1001 – 1005. Pears B. The short, sad life and tragic death of Hannah Greener [Online]. Available at: http://www.bpears.org.uk/Misc/Short_Sad_Life.pdf. Accessed on: September 10, 2016. Ramsay MAE. John Snow, MD: anaesthetist to the Queen of England and pioneer epidemiologist. Proc (Bayl Univ Med Cent). 2006; 19: 24 – 28. Club de l’histoire de l’anesthésie et de la réanimation. Premier déces au chloroform: Hannah Greener [Online]. Available at: http://char-fr.net/SITE/Premier-deces-au-chloroforme.html. Accessed: October 8, 2016. Caton D. John Snow’s practice of obstetric anaesthesia. Anaesthesiology. 2000; 92: 247 – 252. UCLA Fielding School of Public Health. Birth of Prince Leopold [Online]. Available at: http://www.ph.ucla.edu/epi/snow/leopold.html. Accessed on: September 10, 26. UCLA Fielding School of Public Health. Critical reaction of The Lancet [Online]. Available at: http://www.ph.ucla.edu/epi/snow/lancet1853reaction.html. Accessed on: September 10, 2016. Froggatt P. John Snow, Thomas Wakley and The Lancet. Anaesthesia. 2002; 57: 667 – 675. Paneth N. Assessing the contributions of John Snow to epidemiology. Epidemiology. 2004; 15(5); 514 – 516. Auyang SY. Reality and politics in the war on infectious diseases [Oonline]. Available at: http://www.creatingtechnology.org/biomed/germs.htm. Accessed on: October 1, 2016. BLTC Research. William Morton (1819 – 1868) [Online]. Available at: http://www.general-anaesthesia.com/people/william-morton.html. Accessed: September 10, 2016. Encyclopedia Brittanica. William Thomas Green Morton – American surgeon [Online]. Available at: https://www.britannica.com/biography/William-Thomas-Green-Morton. Accessed September 11, 2016. BLTC Research. Professor Charles Jackson (1805 – 1880) [Online]. Available at: http://www.general-anaesthesia.com/people/charles-jackson.html. Accessed September 12, 2016. Crawford Williamson Long (1815 – 1878) [Online]. Available at: http://www.general-anaesthesia.com/images/crawford-long.html. Accessed: September 10, 2016. Encyclopedia Brittanica. Charles Thomas Jackson – American physician and geologist [Online]. Available at: https://www.britannica.com/biography/Charles-Thomas-Jackson. Accessed September 11, 2016. The Robinson Library. Antoine-Laurent Lavoisier – the first to describe oxygen and the developer of chemical nomenclature [Online]. Available at: http://robinsonlibrary.com/ science/chemistry/biography/lavoisier.htm. Accessed on: Septemebr 10, 2016. Sir Humphry Davy (1778 – 1829) [Online]. Available at: http://www.bbc.co.uk/history/ historic_figures/davy_humphrey.shtml. Accessed on September 10, 2016. Hempel S. John Snow – Obituary. The Lancet. 2013; 381: 1269 – 1270. BLTC Research. Professor James Young Simpson (1811 – 1870) [Online]. Available at: http://www.general-anaesthesia.com/people/james-simpson.html. Accessed: September 10, 2016. Gazetteer for Scotland. Sir James Young Simpson (1811 – 1870) [Online]. Available at: http://www.scottish-places.info/people/famousfirst60.html. Accessed on September 11, 2016.